The foliage color of 'Fire Chief' is brilliant wine red, maturing to a more purplish maroon red. 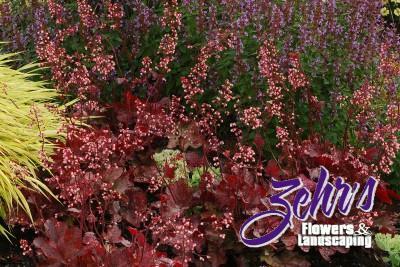 Dark red flower stems rise to 18" tall above the mound of foliage, making the blossoms great for cutting. Bicolored pink and white flowers will rebloom for much of the summer.